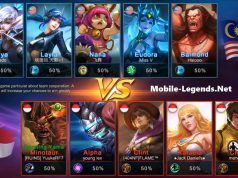 Dear Player, as there are more and more players coming into Mobile Legends: Bang Bang, we have found that time of playing varies, those players who play for a longer time didn’t get better and richer rewards which is unfair to them. a. While we adjusted the rewards in medal chests, we have added plenty of rewards in Daily Quests to make the rewards richer and reasonable. b. Completing daily quests grants Activity Points. Get certain amounts of Daily Activity Points to claim BP rewards. Quests and rewards reset at 05:00 server timer every day. c. Daily activity points also counts as weekly activity points. 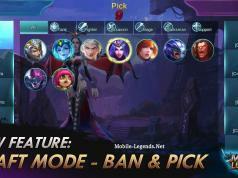 Get certain amounts of Weekly Activity Points to claim BP, magic dust, hero fragments, skin fragments and special skin trial etc. 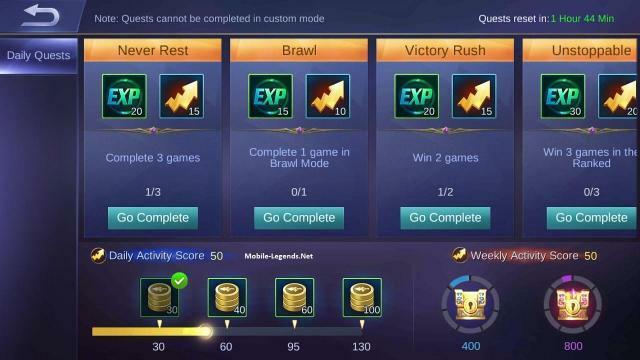 Weekly activity points and rewards reset at 05:00 server time on Monday.